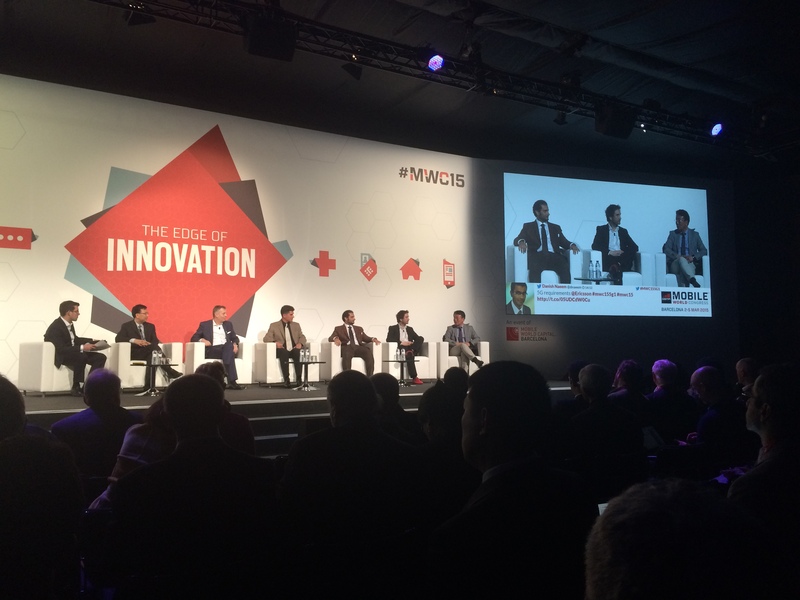 … what a Mobile World Congress that was! The best I have attended in years! There is a real buzz and excitement going on in the community, some of which I tried to capture in my subsequent opinion blog. I was involved in an amazing panel organized by the UKTI and the Future Cities Catapult on the “Industrial Internet of Things”. And I (as the only academic throughout the event) was on the main MWC stage for a 5G panel with the CTO of Ericsson, CSO of Huawei, Director of 3GPP, and Director of the ITU, and other luminosities. The room was burstingly full! 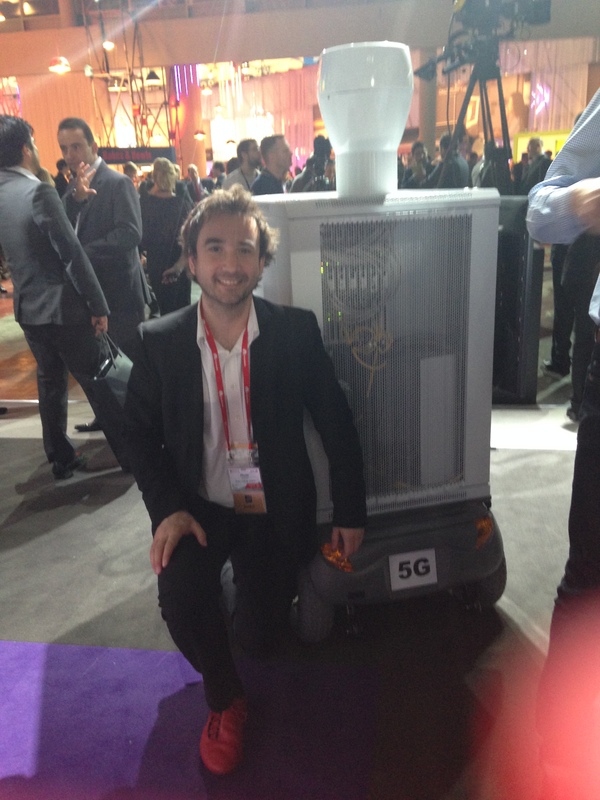 The other highlight for me was to stand next to the world’s first 5G working system, designed by Ericsson – amazing!